New federal tax rules which impact popular tax and retirement planning tools currently in use. Radical updates to Alberta's labour laws, which not only impact payroll with increases to minimum wage and holiday pay, but also how long employers must hold jobs for new parents and those taking on caregiver roles for seriously ill family members. New provincial carbon taxes being levied which increases costs on practically everything. Although business is generally averse to change and many Alberta companies are wondering what their next moves should be to ensure their viability in this new business climate, one thing is certain; it's not time to give up. Instead, what smart business people know is when conditions change, business must adapt. 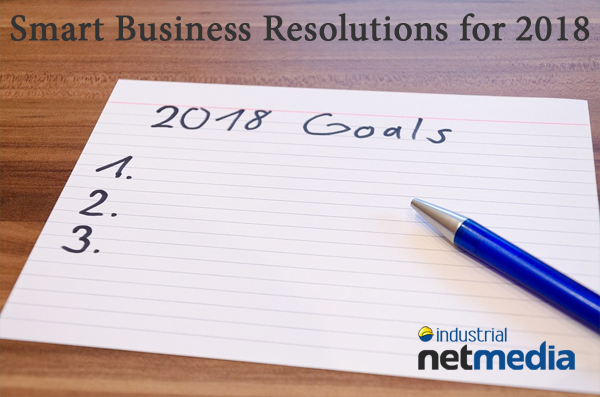 To help companies find ways to manage these changes, we have come up with some New Year's resolutions which may make these transitions a little easier. Resolution #1; Re-examine your business marketing. It is important to have a look at all the elements of your business and objectively weigh whether they are doing what they were intended to do and how they can be made more efficient or less costly. One of the most important of these elements to consider is your marketing approach. Understanding first and foremost the reality all businesses need marketing is vital. You can have the best products and services in the world but if no one knows about them, you will surely go broke. 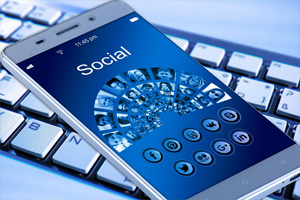 Resolution #3: Ensure both social media and traditional marketing initiatives tie into your website. Your website is the fulcrum on which your other marketing strategies are leveraged. 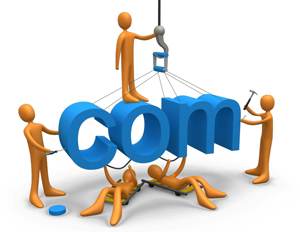 Your company website URL must be on all printed materials with matching colours, fonts and verbiage related to the site. Ensure those who receive your printed material or find their way to your website will be funneled toward a predetermined goal; making a purchase or making contact, if those are the goals you are pursuing. 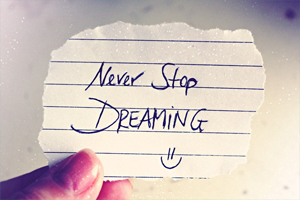 Whatever the next step you want potential customers to take must be blatantly obvious. No one likes hunting around for the online catalogue, your contact URL link or the phone number. If you feel you aren't getting the most out of your current marketing approaches, change things up. As Einstein said, "Doing the same things over and over while expecting a different result is evidence of insanity." What are some things you can change to get your company name out there besides more social media? Consider sponsoring a local event or sports team. People do pay attention and are very loyal to companies that encourage local groups.The Black Gold Rodeo, for example, offers numerous sponsorship opportunities which are embraced by businesses both large and small. 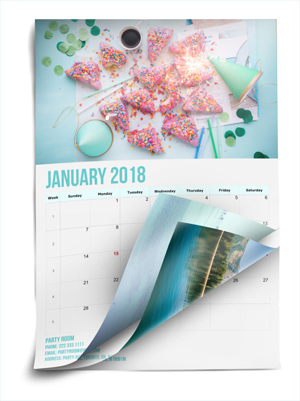 Take another look at traditional marketing initiatives such as the tried and true annual company calendar giveaway which is still widely popular even in the age of computers. If you're a "bricks and mortar" business, look at hosting an event with swag give-aways and special pricing to boost traffic. Printing attractive handbills to promote is inexpensive and, like the calendars, gets a hard copy reminder of your business in the home of prospective customers. If you lack a physical location for your business or work out the home, definitely consider being involved in one or more of the local Trade Shows in the area. These are a great way to get your goods and services in front of the faces of local folks. Both the Leduc Regional Chamber of Commerce and Black Gold Rodeo Association have extremely popular Trade Fairs. Whatever new marketing angle you decide to go with, however, make sure to quantify your rate of business prior to and following the initiative, to be able to tell if they made a difference. The initiatives that worked can be expanded while those that did not can be cut. Bear in mind, however, it's sometimes hard to quantify the power of keeping your name in the minds of the public. This is why the biggest, most successful brands do a lot of "reminder advertising". The most important advice, though, comes from Winston Churchill, "Success is not final, failure is not fatal: it is the courage to continue that counts."